This is an online orientation course designed for new students to Quinnipiac’s various online nursing programs (BSN, MSN, DNP). This was built using Adobe Rise, and delivered to students through Blackboard via SCORM publishing. Click the image above to open the orientation. 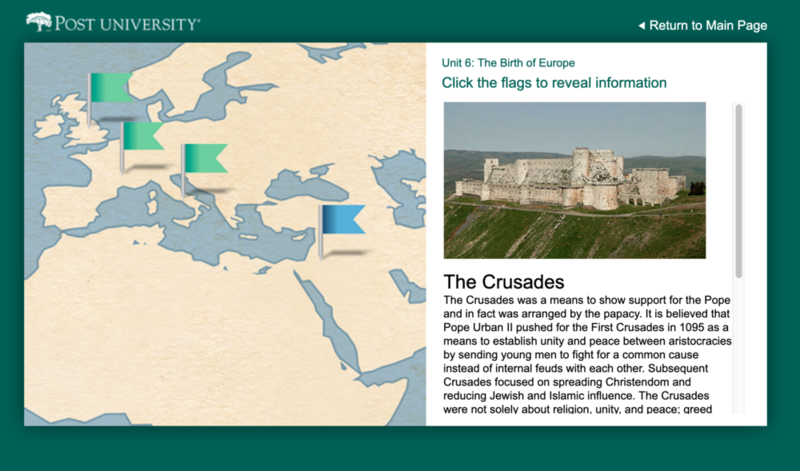 This is a series of 8 interactive maps that accompanies weekly modules in an online intro to history course. I worked closely with the both the instructional designer and subject matter expert of to develop these. Each of the weekly course modules included a new map as well as access to all previously viewed maps. Click the image above to open the interactive map example. This was a component of my master’s capstone project. It is an online visual literacy training and toolkit resource for faculty, designed to increase awareness of visual literacy, as well as introduce a variety of methods to infuse visual literacy skills within faculty development and course design to meet the needs of Generation Z learners. Click the image above to open the toolkit. This is an online orientation course designed for new students to Quinnipiac’s online Post-Professional Occupational Therapy Doctorate program. 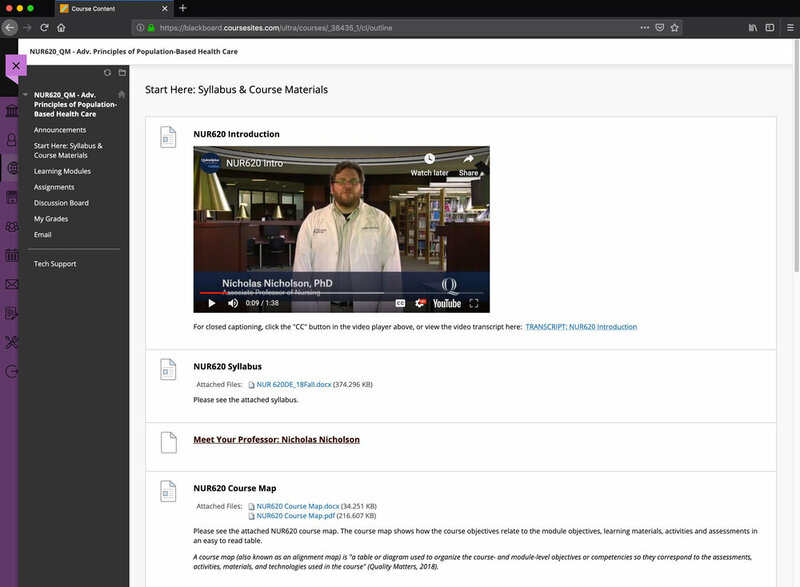 This was built using Adobe Rise, and delivered to students through Blackboard via SCORM publishing. ©2019 Andrew tobin design. all rights reserved. reproduction in whole or in part without the express permission of the author is strictly prohibited.